Since my post last week I have thought a lot about my past experiences and how they all led me to this point in my life in my aspiration to become an herbalist. I did a little digging and I found the two pieces of notepad paper that has all my notes from the various research I did. In my notes I wrote about the herb calendula and made a list of beneficial herbs for acne. Even then I gravitated towards herbalism. So let’s talk about my acne. This was not even the worst of it. 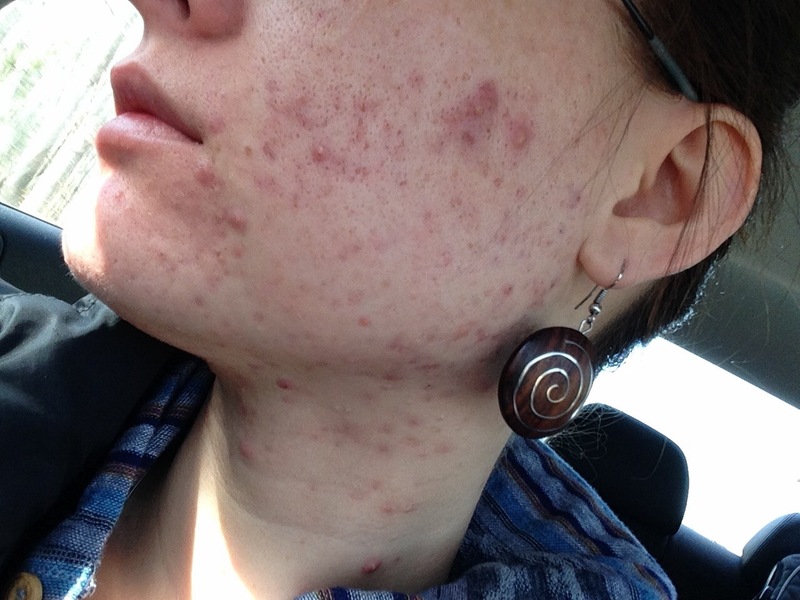 It took me awhile before I found the courage to document my acne. During this time I hated going out in public and I avoided it at all costs. It’s hard not to imagine why. Looking in the mirror was torture because I was not very nice to myself. My self-esteem plummetted. I wish I kept a journal of my progress and everything I used on my face to help heal it. I know that I would take parts of my aloe plants and smear it on my face. I used tea tree oil as a spot treatment, and frankensence oil to help heal my scars. Here is a little video I put together to show the progress over time. Now at this point in my life I definitely am not acne free. It seems that this battle for me is constant, but I continue to listen to my body and find solutions. This berry stimulates the pituitary gland, which regulates the menstrual cycle, and is used to balance hormone production. It is a uterine tonic (herbs that tone and strengthen the entire female reproductive system), an herbal emmenagogues (herbs that stimulate and promote normal menstrual flow), and a hormonal balancer and regulator which normalize the functions of the endocrine glands, thereby aiding the proper functioning of the reproductive system. It can be made into a tincture, or added to an herbal tea blend. I’ve even read a recipe where the dried berries are crushed into powder and mixed with other hormone supporting herbs to create a daily pill. I have a tincture form of vitex for personal use, and am just waiting patiently until Rose Mountain Herbs carry it in stock once more. Once I get my berries I will be adding it to my acne tea, a blend I have been using for over a week now. Thanks for reading. Over time I will get better at the blogging business so that I may provide for you the best of the best. Have a great week beautiful Dreamers. < Previous Who is The Yogi Herbalist?